The American Legion maintains a fully staffed office in Washington, DC to represent veterans in Congress on all legislation concerning veterans and their families. Additionally, the Department of Iowa has a Legislative Commission to serve as a “watchdog” on all legislation, Federal and State, that affects veterans or The American Legion mandates and programs. If you cannot participate at the Capitol that day, contact your Senator and Representative and send them a copy of the Iowa American Legion legislative priorities. Every Senator and every Representative need to hear from their veteran constituents. The Commission shall have four (4) members, a Chairman and three (3) Members. The Chairman shall be appointed annually by the Department Commander and shall serve from time of appointment until the close of the following Department Convention. The Members shall be appointed by the Department Commander. The terms of the Members of the Commission shall be staggered, and each new appointment shall be for a term of three (3) years. 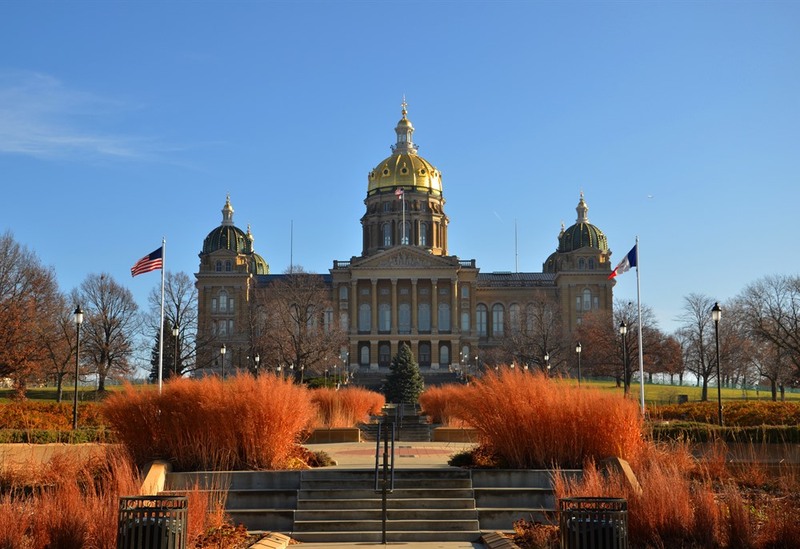 The Department Commander shall appoint annually a representative or firm to serve as the Legislative Representative (lobbyist) to the Iowa General Assembly. The Legislative Commission shall: recommend the representative or firm to serve as Legislative Representative to the Iowa General Assembly; prepare and implement bills as required by Department Convention or Department Executive Committee action; and serve as a “watchdog” on all legislation, Federal and State, which affects veterans or The American Legion mandates and program. The Commission will plan the annual Legislative Day at the State Capitol. Department Convention: The Chairman shall be authorized for two (2) days for the purposes of conducting the Legislative Commission meeting and to report to the Department Convention. The Members and Department Commander’s Representative shall be authorized for one (1) day each for the purpose of attending the Legislative Commission meeting. Mid Winter Conference: The Chairman shall be authorized for two (2) days for the purposes of conducting the Legislative Commission meeting and reporting to the Department Executive Committee. The Members and the Department Commander’s Representative shall be authorized for one (1) day each for the purpose of attending the Legislative Commission meeting. The Commission shall also be responsible for operating an informational table at the Programs Fair. Legislative Day: Members are authorized at mileage only. In the event that additional meetings are required, Department Commander may so authorize said meeting upon the petition of the Chairman at mileage only. The Chairman is required to provide a report of the Commission’s activities to the Fall, Mid-Winter, and Spring Department Executive Committee meetings and annually to the Department Convention. The Chairman shall annually submit a proposed Commission budget to the Finance Commission before the Spring DEC meeting.